We started a family tradition when the kids were just old enough to talk where we’d spend the week before Thanksgiving writing down everything we are thankful for. This simple tradition has taken many different turns over the years from thankful trees, to garland, to just plain old list format. This year we wanted to create a fresh expression of this, so we made a set of Thankful turkeys to share our gratitude in a really fun way! 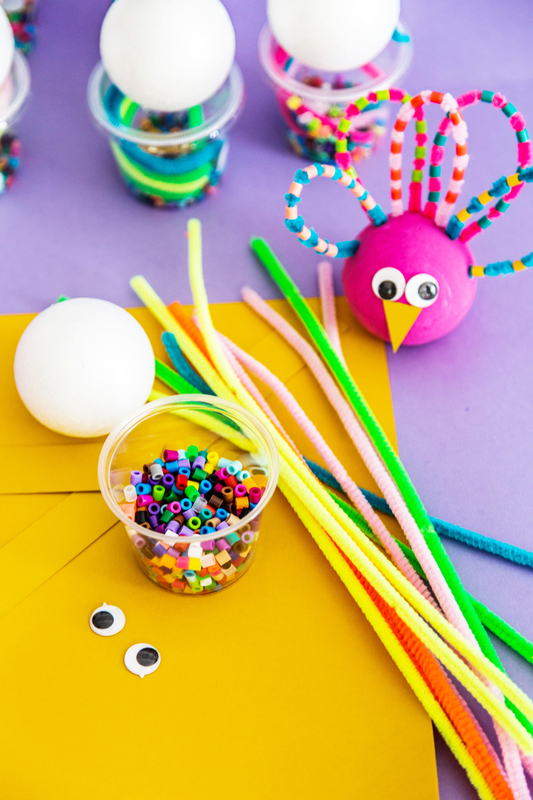 You can get the entire DIY process for these cute little guys over on the Joann’s site today and they can be used for anything from a Thanksgiving kid’s table, to party favors, to carrying on a beloved tradition with the kids. 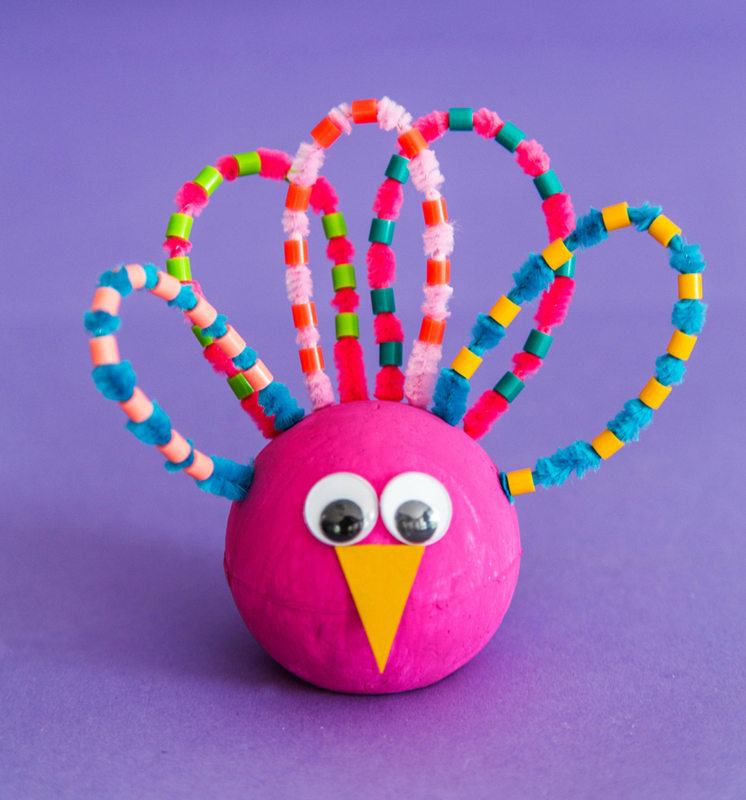 We started with a bunch of turkey creation kits (buy everything to make these in one stop right here). We let the kids know that whenever they wanted to express thanks for something they could write it on the bottom of the turkey head and then decorate the turkey however they want. If you saw my IG story last week, you may have noticed that we incorporated our friend’s kids into this tradition as well at our Friends-giving kids table. It was a hit all around! Now that my kids are older, they love a more tactile way to express thanks. Since the project was a bigger deal then just write a note on a piece of paper, their thankfulness ended up being more thoughtful as well. It was a fresh and colorful way to express a yearly tradition. 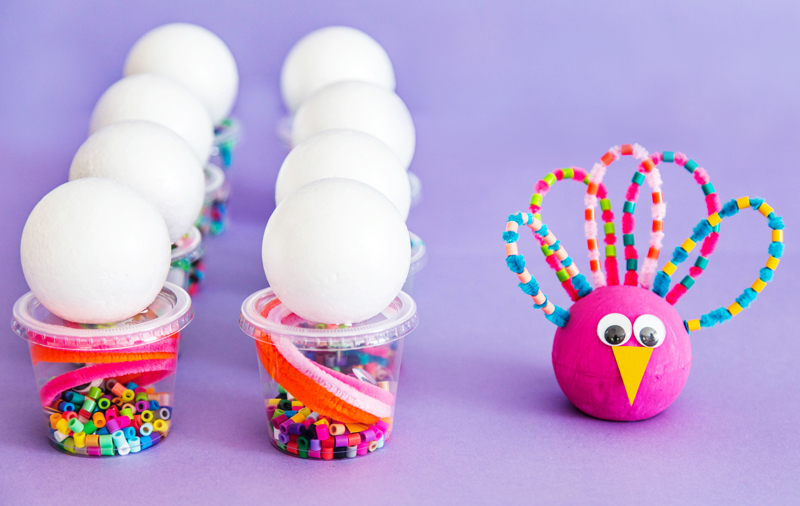 We had fun creating these and now we have the sweetest set up of a Thanksgiving display that everyone will enjoy turning over to read the sweet gratitude written on the bottom. PS. For other ideas of keeping little hands busy at the table, try out our slime recipe without borax, it is safe and fun!